So far this year in between having a beautiful baby girl & adjusting to becoming a family of 4 with a very lively toddler, Sarah of SM Nutrition has collaborated with a variety of community projects, facilitated nutrition/cooking skills workshops and consulted with clients to provide sound nutrition advise and encourage healthy lifestyle changes. During the course of the year, cooking skills workshops have been delivered alongside some fantastic projects within the community of Dundee/Angus. SM Nutrition also offer weight management services which have helped individuals to loose excess weight, take back control of their lives, improve confidence and self esteem whilst also playing an integral role in the management and prevention of health related diseases by optimising nutrition. Cooking Skills/ Nutrition Workshops, focusing on a kickstart to health eating. Cooking the women’s traditional meals using less fats/healthier alternatives, focusing on portions control, and also educating the women on the various food groups, eatwell guide, fat/sugar game, portion distortion. 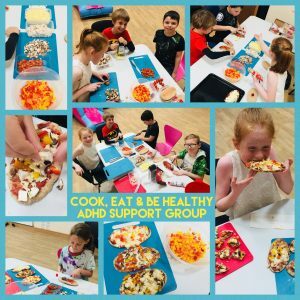 Cooking skills workshops – focussing on cooking foods which are healthy alternatives. Quick, simple nutritious meals and snacks, which can be eaten and enjoyed as a group. Providing mini taster sessions for the youths, to encourage them to take part in cooking skills sessions. The workshops focussed on preparing and making sweet treats without the use of sugars or artificial sugars. We made a selection of sweet treats using fruits to naturally sweeten the baking we made. Blueberry & banana pancakes, Berry Chocolate Brownies, Sticky Date Oat Bars, Fruit Kebabs with melted Dark Chocolate, Fruit Smoothies. An introduction to Solids, educational programme for mums and babies to come along to learn about fun first foods. 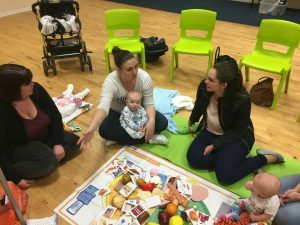 Interactive workshops encouraging babies to get involved with different textures of food, taste, feel and using sensory abilities during sessions. 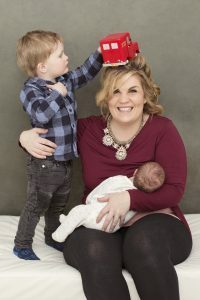 Working with young mothers and their babies, providing cooking skills, education around hot topics such as healthy start vitamins during pregnancy, breastfeeding, weaning, fussy eaters, healthy meals for the family to enjoy, cooking on a budget, batch cooking, food labelling, fat/sugar games, providing the best start for mum and babies pre-conception to birth. Eating well during pregnancy and beyond. to assist in the prevention and management of health related illness/diseases. Obesity, diabetes, menopause, depression, weight loss. Focusing on improved nutritional intake, dietary changes, exercise, to improve Mental Health, Well-being.